Summary: Contact wearers should switch up their routine when wearing their makeup. Fortunately, these changes are only minor. 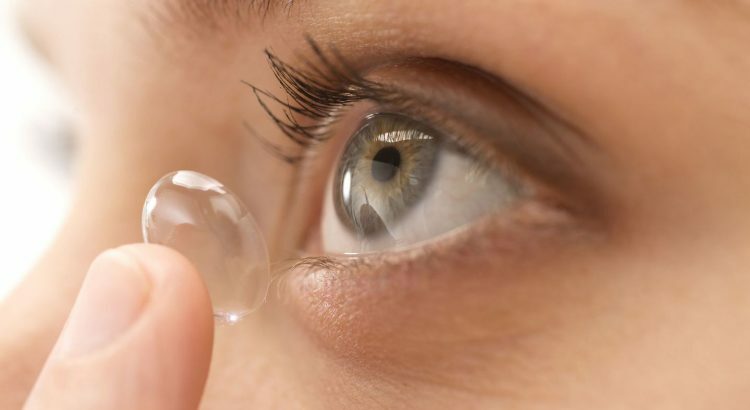 Contact lenses are a medical tool that almost everyone can get behind. Glasses aren’t the only option on the market anymore, and some people don’t want to fork over a fortune to get eye surgery either. However, they can present a number of problems for those that wear a good amount of makeup, which can get in your eyes. Fortunately, advancements in contact lens technology have made it significantly easier for makeup wearers to use their contacts safely. Always wash your hands before putting your contacts in. Pretty simple and straightforward, but it’s something that many people forget, or are too lazy, to do in some cases. 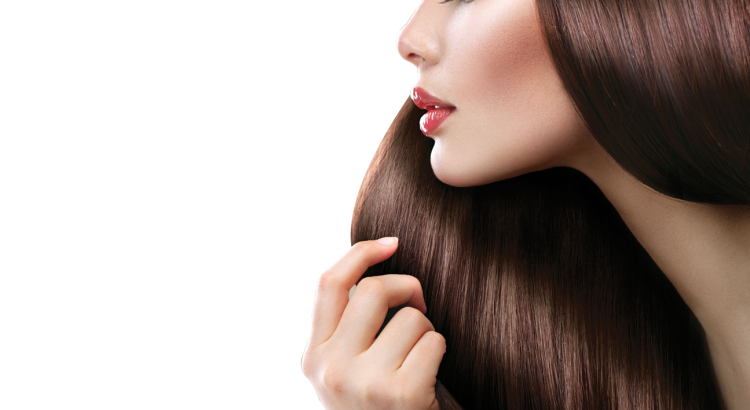 Any products that are oil-based, contain fragrance, or have dyes will adhere to the lenses. 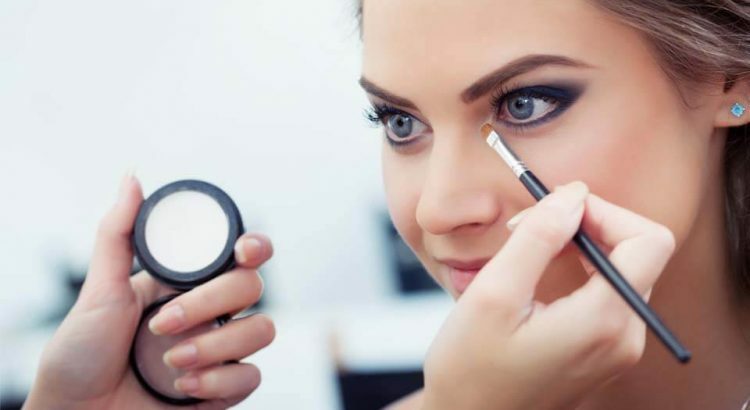 Many experts suggest putting contacts in after applying your makeup to avoid scratching or damaging the lenses, but there’s actually more of a change you will be getting makeup on your fingers and on the contact lenses, which could cause an infection. Instead, put them in before. This can be particularly tricky to do, so instead of applying mascara from the base of your eyelashes, start from the middle instead and sweep through to the tips. You’ll also want to avoid mascara products that contain fibers that could fall into the eyes. The particles can easily get trapped under the lenses and cause discomfort. Water-resistant mascara is an ideal replacement that can be worn safely and won’t get into the eyes. Blog submitted by Lens.com: Lens.com carries all major contact lens brands at unbeatable prices. Whether you are looking for multifocal contacts or contacts designed for astigmatism, Lens.com can help you find exactly what you are looking for. 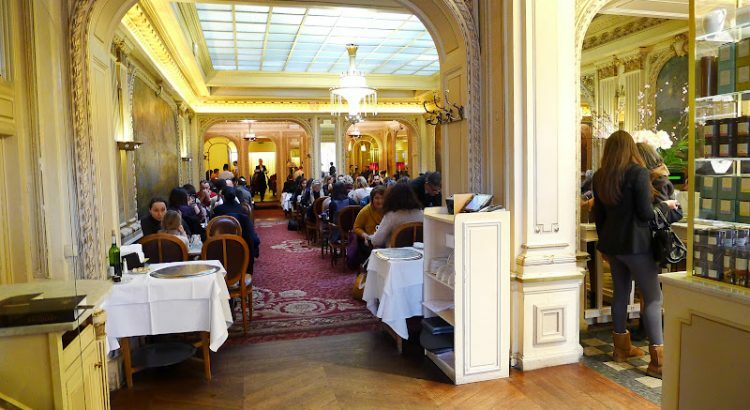 The Angelina Tearoom has no doubt, been an icon for the French art of living for more than a century. It was actually founded by a confectioner, Antoine Rumpelmeyer from Austria. In the 1800, he and his family emigrated from then Austro-Hungarian Empire to the south of France, in the area of Côte d’Azur. They were originally inspired by the teahouses of their roots; the Rumpelmeyer family, who had opened various ventures in Nice, Monte Carlo, and Antibes. They eventually opened their first Angelina in 1903 on rue de Rivoli, at exactly the same location where it stands today. 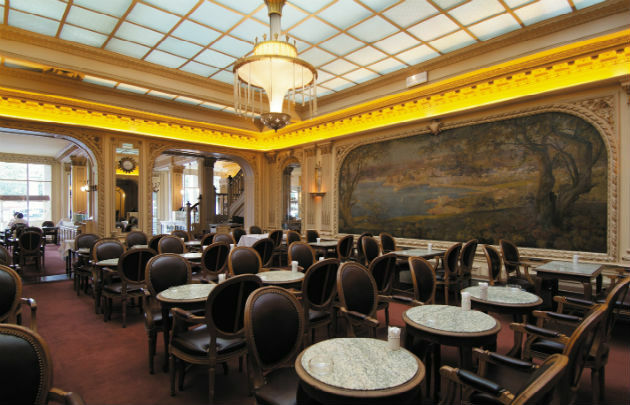 The Angelina Tea House was designed by the famous architect, Edouard-Jean Niermans. He was known for his impressive works in Paris which include la brasserie Mollard on rue Saint-Lazare, the Trianon-Concert in Montmartre, and the Moulin Rouge on Boulevard de Clichy. His signature work, Belle Epoque style, greatly pleased the French. Over hundred years later, the original interiors of Angelina Tearoom remain unaltered, till this day. In 2005, the Angelina brand was taken over by the Bertrand Restauration group. However, the new management has maintained the same standards that ensured and sustained its success for more than a century. One of the most common problems with the human eye these days stems from computer usage, especially in the developed world where PC usage is higher on average. How much are contacts going to help? Not much since the average American will stare at a screen for upwards of 9 hours. This long usage does take a toll on the eyes, but there are steps you can take to try and mitigate this damage over time. Here are some pieces of advice from professionals at Lens.com for those who wear contact lenses or glasses. Your optometrist would offer the same advice as your mom: don’t sit too close to the television! You should maintain an optimal distance of 20-30 inches between your eyes and the monitor. Don’t worry, you won’t need a ruler, you can just use your arms. Hold your arm straight and measure the distance between your shoulder and your monitor. As a bonus tip: practice proper posture and elevate your monitor if you need. Your back will thank you later in life. Ever notice that your vision feels blurry after a long session at the computer? Stepping away for a few minutes every half hour or so will help with that strain. If you can, try and schedule at least six small breaks throughout your day. Take time to stretch your shoulders and neck as well. These mini breaks keep your mind fresh, your eyes ready, and they are good for your body. One of the most underrated pieces of advice in daily eye care is just blinking. When we stare at screens, our eyes may go long distances without moisture. Blinking keeps that dryness from doing its worst, so you should consciously try your hardest to blink every few seconds. Aim for 10-15 second intervals, but just consciously blinking fully is already a step in the right direction. If you begin to experience eye strain and dryness, and you’re a contact lens user, try artificial tears. 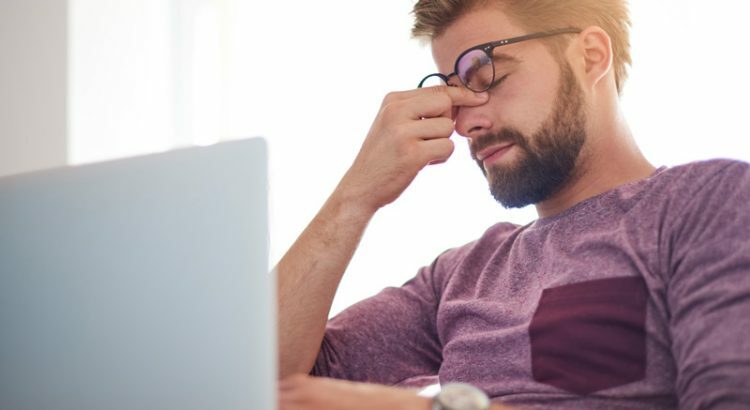 Good lighting can be helpful in reducing eye strain over time. Indoor lighting tends to use fluorescent bulbs. Coupled with glare from outside and your office time can do more harm than good. There are two ways to fix these problems. The first is to darken your room with curtains or blinds to prevent outside light from seeping in. The second is to install an anti-glare screen to your monitor. Given the rapid appearance changes actors, and musicians go through during their careers, its hard to tell which ones genuinely need corrective lenses and the ones that are joining in on the color contact fad. A handful wear glasses privately or for specific roles in films or music videos, but many celebrities do need corrective lenses for both their day to day life and performances. Whether to counteract nearsightedness or enhance their already lovely eyes with engaging colors, here are 5 celebrities who regularly wear contact lenses. The extremely talented singer Selena Gomez occasionally sports wireframes, but generally shows offer her unobstructed eyes when in front of the camera. However, she has admitted to being near-sighted since a young age and often wears contacts for public appearances. Not only does Selena use correct lenses, she also experiment with color contacts, such as wearing hazel lenses for the American Music Awards in 2015. Blink and you’ll miss it, but Nicki Minaj has been onboard the color contact trend for ages. Her music video for Super Bass is the best video to spot her eye color change, featuring a close up of her gray contacts before subtly shifting to a wide shot of deep brown eyes. Other videos like Your Love and Moment 4 Life showcase light blue, green, and hazel contacts, each of which plays nicely off her natural color. Taylor Swift sports glasses pretty often in her videos, but that mostly plays to her girl-next-door persona. For concerts and interviews, the musician is regularly plain faced. She’s state in interviews that she’s nearly blind without her contact lenses, wearing them for events, on-camera interviews, and some music videos. The renowned actress and producer Jennifer Garner jumped back onto the screen this past year with the teen romcom Love Simon, playing the title character’s mother. Her role showed off her natural brown eyes, but she has worn blue contacts for other roles, such as Elektra in the superhero film Daredevil. Surprisingly enough, she wears corrective lenses in her everyday life and has been spotted with expensive glasses in the past. Not even the Wolverine can escape the aging effect on our eyes. Though he does showcase a pair of spectacles in Logan, Hugh Jackman generally shows off his natural light brown when on stage, whether its a blockbuster film or cable interview. But, as you guessed it, he is actually near-sighted, wearing glasses in private and contact lenses for public appearances. When your makeup goes on right, you will be on cloud nine, but there are days that putting on your liquid liner can take forever. Here are a few tips to help you get your makeup right; every time. Invest in great tools – Expensive makeup brushes are well worth the cost as they will help you apply your makeup better. Here are the eight brushes you will need; Foundation brush, Concealer brush, Fluffy powder brush, Blush brush, Small blending brush, Flat eyeshadow brush, Precision angle brush and a Lip brush. Not only will your makeup glide on smoothly, but you will also use less makeup. Mix primer with your foundation – If simplicity is key, look at mixing your foundation and primer to ensure you have a more natural look that still covers your imperfections. If you have oily skin, look at using a damp sponge to apply your foundation. The damp brush will apply less oil from the foundation on to your skin, making your skin less oily. Conceal your flaws – If you want to conceal your flaws like acne, redness or dark circles look at applying opposite colors to the areas you want to change. For example, for redness look at green concealer and for dark circles look at orange concealer. Flatter your face shape – Learn how to contour your face to enhance its shape and features. As a rule, remember that anything lighter in an area will make it more prominent and anything darker will make that area recede. How to layer your skin care products before bed? A good way to ensure your skin looks its best is to start a skin care routine that suits your life style and skin care needs. Here are some smart tips to help you layer your skincare products better before you go to bed. Cleanser – To deliver ingredients to your skin, you will need to ensure your skin is clean and free of dirt and makeup. Start off by using a good quality cleanser to remove any dirt, sweat, and makeup from your skin. Look at investing in a gentle cream, gel, or foaming cleanser. Exfoliate – Avoid exfoliating daily as this can cause the surface of the skin to get damaged. Look at exfoliating your skin twice a week to gently remove dead skin cells and dirt that may block pores. Treatment products – If you suffer from stubborn acne, age spots, uneven texture look at investing in a few facial treatment products. Look at products with benzoyl peroxide, retinoid, topical acne medication and prescription creams to treat your skin while you sleep. To provide intense treatment for scarring, consider applying a mask at least twice a month before bed. Serums – Serums are great to provide concentrated treatment to smaller areas on your skin. Eye creams – Eye creams can brighten and boost collagen under and around the eye. Remember that the skin near your eye is thinner and delicate so always use your ring finger to apply creams in gentle strokes. Moisturizer – Look at applying a light daily moisturizer and a heavier night cream to give your skin the moisture and the ingredients that it needs to look its best. Some of us need a lot of guidance when embarking on a shopping adventure. Having a clear goal when shopping, will leave you feeling more satisfied once you return home and save you from buying unnecessary items you will never use. Here are seven shopping tips that smart shopper should follow. Shop with a list – Start off your shopping trip with a list of what you want to buy and where you think you will find them. You could make a list on your phone and go online to check on any stores that may stock the items you need. Set a budget – Once you have an idea of what you need, you can now set a budget for each item you want to buy. Set a timeframe – Set a timeframe for you to look for the items you require. This will stop you from aimlessly visiting shops for no reason. Pick the best time for you – Shopping can be tiring and stressful, therefore make sure you choose a time that is most convenient for you, for example, if traffic and parking is a problem, choose to shop at night or when stores are less busy. Shop alone – Shopping partners can sometimes make us buy things that we may not buy if we were shopping alone, so opt to visit the stores by yourself. 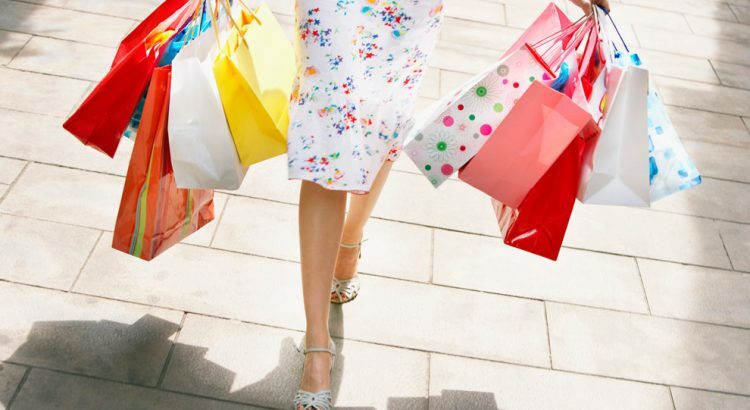 Ask yourself “do I really need this?” – Buying impulsively can lead to buying the wrong thing or spending too much. Before you buy anything, ask yourself if you really need this item and if you are unsure take some time, grab a coffee and return to the store when you are sure. Remember that the salesperson is there to sell to you – Appreciate and get assistance from a helpful sales person, but make sure you are buying something that you will use.